Sometime around 12,000 years ago, our hunter-gatherer ancestors began trying their hand at farming. First, they grew wild varieties of crops like pea, lentil and barley, and herded wild animals like goat and wild ox. Centuries later, they switched to farming full-time, breeding both animals and plants, creating new varieties and breeds. Eventually, they migrated outward, spreading farming to parts of Europe and Asia. The earliest farmers lived in the Fertile Crescent, a region in the Middle East including modern-day Iraq, Jordan, Syria, Israel, Palestine, southeastern Turkey and western Iran. And scientists had long assumed these early farmers were a homogenous group that traded and intermingled, swapping farming tools and tricks — as well as their genes. In other words, farming was long believed to have been started by one group of ancestral humans. But a new study suggests something different – that multiple groups of people in the Fertile Crescent started agriculture, and these groups were genetically distinct from one another. That is, they didn't intermingle at the time, at least not for a few thousand years. "They lived more or less in a similar area, but they stay highly isolated from each other," says Joachim Burger, an anthropologist at the Johannes Gutenberg University Mainz, in Germany and co-author of the new study. 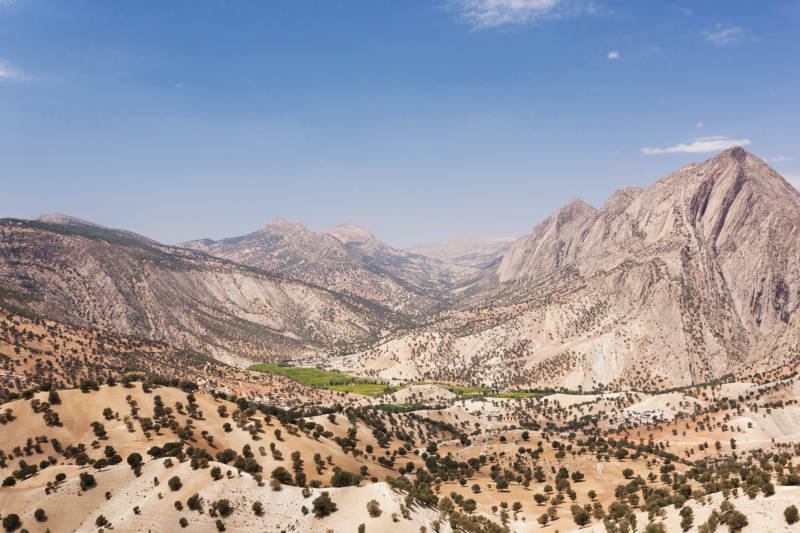 Burger and an international team of scientists analyzed ancient DNA from the remains of four individuals that lived about 10,000 years ago on the eastern edges of the Fertile Crescent – the Zagros Mountains on the border between Iraq and Iran. 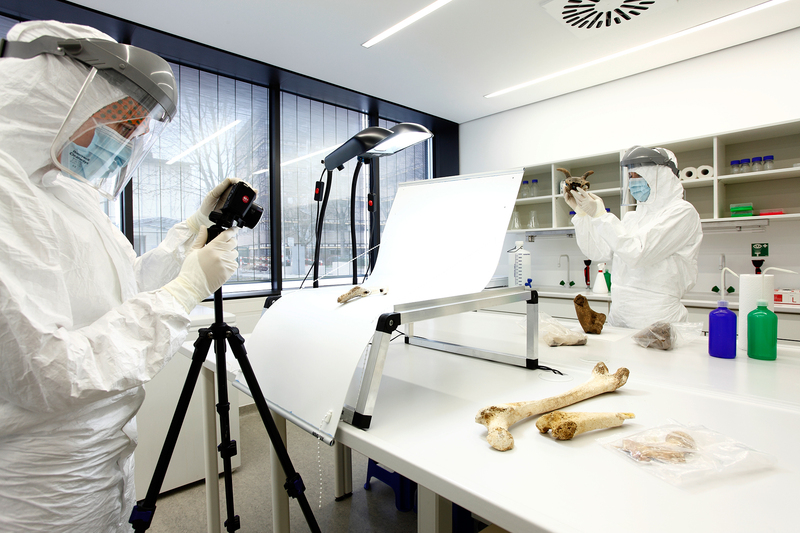 They compared the DNA of these individuals with that of skeletons that were a couple of thousand years younger and had been found way on the other end of the Fertile Crescent, a region that includes modern-day Turkey. But the two groups couldn't have been more genetically different, says Burger. "We would not necessarily expect big genetic differences from one of end of Fertile Crescent to another," says evolutionary biologist Mark Thomas of the University College, London, also an author on the new study. But in fact, the genetic signatures suggest that the Anatolians and the Zagros populations diverged from a common ancestor some 46,000 to 77,000 years ago — long before the advent of farming. "That's a surprise. That's the real big surprise of the study," Thomas says. Perhaps no one was more surprised than Burger. Just last month, he published a study that found that late Stone Age farmers from the Turkey region had migrated north into Europe and introduced farming there. So understandably, he had expected to be able to trace European agriculture all the way back to the eastern Fertile Crescent. But that's not what the DNA said. The new study makes it clear that these earliest farmers of the eastern Fertile Crescent did not migrate westward — and so they were not responsible for spreading agriculture to Western Europe. No wonder, then, that the team also failed to find any genetic similarity between these ancient farmers and modern-day Europeans. On the other hand, the early farmers of Zagros seem to have a striking genetic resemblance to present-day humans in South Asia, especially Pakistan and Afghanistan. That suggests that the descendants of the early farmers from Zagros probably migrated east, taking their farming techniques to that part of the world. That makes sense, says Thomas, because previous work by other researchers has shown "clear evidence of movement of crops and animals into Iran and northwestern parts of the (Indian) subcontinent." An unpublished study by a team at Harvard Medical School confirms the genetic closeness of the early Zagros farmers with South Asians, and also shows that the early farmers of the Southern Levant (modern day Syria and Palestine) moved to Africa, taking their farming traditions south with them. Clearly, the different populations in different parts of the Middle East migrated in different directions. The idea that farming began in a single population came from initial archaeological discoveries in one part of the Mideast – the Southern Levant, says Melinda Zeder, an archaeologist at the Smithsonian Museum of Natural History, who wasn't involved in the study. But more recent excavations have shown that there was an "explosion of people" tinkering with farming all over the Fertile Crescent. These findings and the latest study are painting a complicated picture of the early days of agriculture, says Zeder. "There are now clear signs of trade across the entire Fertile Crescent," she says. For instance, there's evidence that people traded tools. "We are seeing that people are in communication with one another. ... But it is not one melting pot."